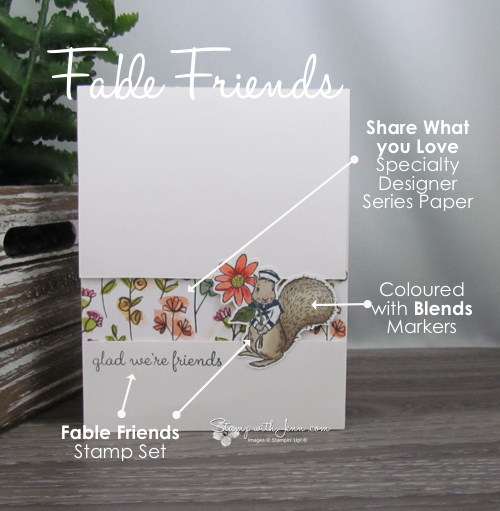 Yesterday I showed a cute Easter card with the Fable Friends stamp set. 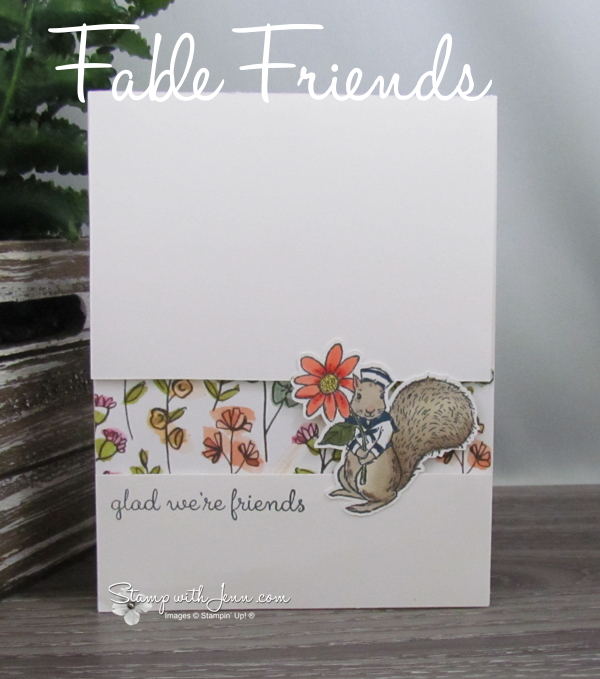 And today I’m showing how you can use this stamp set for more than just Easter cards. This is another super adorable card that I got from Liane in BC. For this card, Liane coloured the image again with Stampin’ Up! Blends and then cut it out (just like yesterday’s card). See yesterday’s card here. The fun part on this card is that the front panel is raised up with dimensionals and you can peek through to the Designer Series Paper in behind. You’ll also need a scrap of Whisper White cardstock to stamp the squirrel image. When you attach the Designer Paper you’ll want to make sure you have it up high enough so that it still shows thru the panel. If you measure 3″ from the top of the front panel and line up the top edge of the DSP there, it should work out. To see all of the supplies on this card, please click on the arrows below to page thru the supplies. To shop for any of the items go to my Online Store HERE. 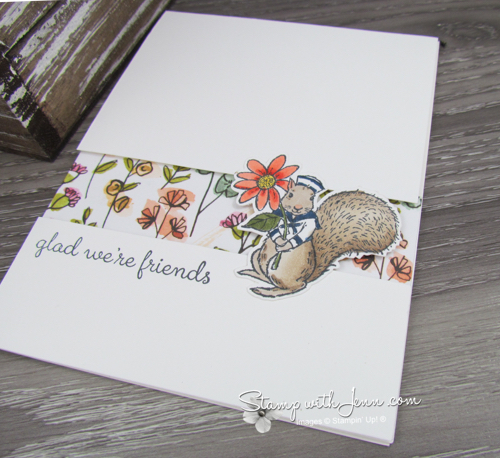 Be sure to check back this weekend to www.StampwithJenn.com for another Fable Friends card.